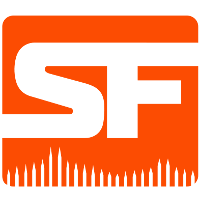 The San Francisco Shock	 San Francisco Shock OWL Rank #3 ChoiHyoBin Choi Hyo-Bin (최효빈) off tank Viol2t Park Min-ki flex support sinatraa Jay Won dps Rascal Kim Dong-jun (김동준) dps super Matthew DeLisi tank Moth Grant Espe support have promoted Rascal	from NRG Esports	 NRG Esports Contenders NA Rank #9 Smex Eoghan O'Neill off tank Byrem Seong Joo Lee flex support kevster Kevin Persson dps MirroR Chris Trịnh dps Stand1 Seo Ji-Won (서지원) tank Pookz Mark Rendon support to the Overwatch League roster. The Shock will be the third Overwatch League team of his career. Rascal joined the inaugural Overwatch League season when he and his Kongdoo Panthera teammates were picked up by the London Spitfire in the preseason. He saw limited playing time with the team and was traded to the Dallas Fuel between Stages 1 and 2. He would not finish the season with the Fuel, however. He would instead be released by the team in Stage 3, after the mid-season signing window for franchises had closed, leaving Rascal unable to join a new Overwatch League team following his release. 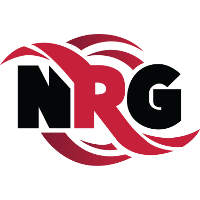 As a result, he was picked up by NRG, the academy team of the San Francisco Shock. He played for the team in Contenders Season 2, helping them secure a top four finish. Rascal joins three other DPS players on the Shock roster: sinatraa, Architect and BABYBAY. This will be the first team Rascal has shared with any of the squad's players. He is not the first new face to join the Shock this month. The team traded DPS Danteh to the Houston Outlaws for main tank smurf a week ago. Shock fans may not have to wait until the next season of the Overwatch League to see Rascal don orange on-stage. The Shock are scheduled to play October 20 and November 10 against the Los Angeles Valiant in an event called the California Cup. The November 10 match will be played in Oakland, California, a city within the Shock's home market. Fun fact: 4 out of the league's original 12 teams have 10 players currently on their roster. Of those 4, the Shock have 5 from their original roster, the Valiant have 5 from their original roster, the Outlaws have 8 and the Fusion have 9. The detail here is that he's not getting a 2-way contract, which is what's happening on other teams at this very moment. So I really believe he's oging to be playing quaite a few and someone else will get moved a bit out of rotation, maybe Babybay? In the end Rascal is a very flexible DPS. The last 4 players signed to the SF Shock have all been Korean.